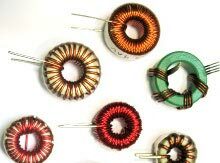 Toroidal inductors (or transformers) are not uncommon devices. They are used in a wide range of industries and applications. This is because they are passive electronic components. Iron powder/ferrite is used to make a ring-shaped magnetic core. This core will have extremely high magnetic permeability. Wire is wrapped around the coil, and this makes the toroid an inductor. There are clear benefits to using toroids, and even some downsides, but this article doesn’t seek to compare and contrast pros and cons. This article will discuss different mounting methods that are available for mounting toroids. One of the more common mounting methods is through hole toroid mounts. Toroids are connected directly to the printed circuit boards (PCB). Adding a lead through a hole in the PCB does this. It is held in place by being soldered on the other side. You can have the mount configured for vertical or horizontal mounting. Horizontal mounts: These mounts work perfects when used as a platform/holder for allowing toroids to be mounted on their side. Each toroid that is mounted has its own specific points of termination, size, and shape. Leads are attached to the terminal of the mounts, and this is most commonly done with the help of soldering. In some rare cases, where the toroid is large and stiff, different approaches can be used. Vertical Mounts: If you need to stand up a wound toroid on a printed circuit board, this is the type of mounting you need. It is the most economical in terms of saving space. These mounts are known to be made from plastics. These mounts also allow for easy PCB cleaning. This is because cleaning solutions are easily able to flow under the toroid. Surface mount: These mounts were created as a way to reduce cost while improving circuit board production. This technology works with robotics, and so the process of mounting toroids to PCB is now substantially faster and more accurate than years before. The leads from this mount lay on the PCB, but are attached differently than vertical and horizontal mount. Surface mounts are usually more durable and long lasting. There are so many different options when it comes to mounting toroids. If these are mounted improperly then they might not do exactly what you need them too. 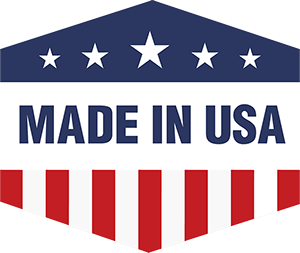 Speak with a local toroid company to find out all your different options.